Nothing the Coen Brothers ever do is really a change of pace, but “Inside Llewyn Davis” is about as close to one as you’re likely to get from the filmmaking duo that has rolled out nothing but critically acclaimed hits since 2008 Best Picture winner “No Country for Old Men.” Even with a three-year break between directorial projects for the first time in almost 20 years, they strike again with “Llewyn Davis,” perhaps their most understated and emotional effort to date. “Davis” is a melancholy story that finds occasional moments of classic Coen Brothers humor (that killer combination of wit, frankness, exaggeration and irony) and stirs the soul with an influx of folk music. Llewyn Davis (Oscar Isaac) is a couch-surfing folk singer of unquestionable talent struggling to make money in New York’s Greenwich Village in the winter of 1961. 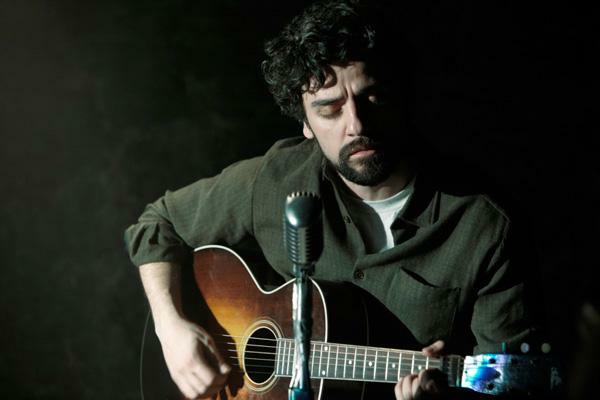 Plagued by a number of mistakes in his work and personal life and followed by the shadow of his stint as one half of a folk duo, Llewyn impatiently pursues his big break despite the lousy circumstances. Isaac get his much-deserved big break as Davis, a role that could really only be played by someone yet to become a full-fledge movie star. In fact, the Coen Brothers veer away from casting their usual suspects entirely (except for John Goodman in a small role), which gives “Davis” both a different feel for the Coens in general and helps to get across the sense of anonymity in the folk scene. Carey Mulligan and Justin Timberlake play supporting roles as Jean and Jim, some lovable local favorites performing in the scene, but they’re a small part of the film overall. This is Llewyn’s story entirely, a disheartening portrayal of the American dream, and without an ounce of sugarcoating. Plus, Llewyn is far from the brave and naive optimist who’s hopelessly in love with his craft. He sees it very much as his passion, but it is his career, his work – a means to a paycheck. He’s not the smartest or the most likable character, so it’s actually the scenes in which he performs so beautifully that will move the audience to root for his success. We can observe his talent, but objectively, we can also see the very qualities in his personality and even his music that account for his struggle. Although “Davis” has a number of striking scenes, some of which are difficult to watch, there’s not much shock factor in this particular Coen Brothers film. The plot is non-traditional in the sense that there’s no main conflict with scenes that move toward a resolution, rather everything that happens is meant to give us a window into the unforgiving nature of the life Llewyn has chosen for himself. His desperation road trip to Chicago to try and land a gig for a man with a prominent club sums a lot of this up. He bums a ride with Goodman’s character Roland Turner, a jazz musician who tests Llewyn’s wits to no end, and his “chauffeur,” Johnny Five, (Garrett Hedlund), a poet of few verbal words. The trip takes a strange turn with less than desirable results. In most Coen films, each character or event, no matter how small, has something to say to the greater overall theme and ideas of the film. “Davis” is no exception, though it does so in much more subtle ways. 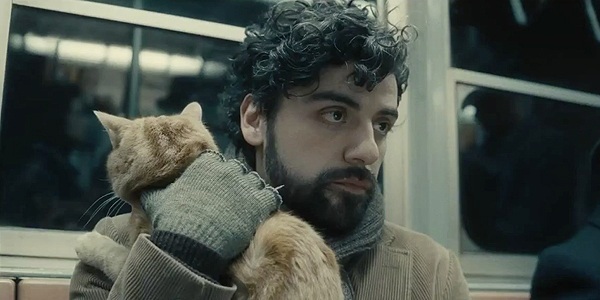 One of the more prominent metaphors involves an orange cat that falls into Llewyn’s care. Although the symbolism is obvious, the meaning remains open to interpretation in a way the Coens do so well. A shoutout also must be given to the film’s photography, which is just so much better than the cinematography of any film about music ought to be. French cinematographer Bruno Delbonnel (“Amelie,” “Harry Potter and the Half-Blood Prince”) works with the Coens for the first time and it’s a beautiful marriage. The lighting and the visuals really amplify the emotions of the story. 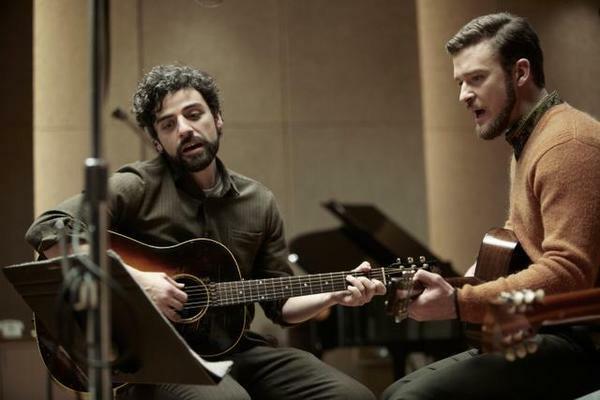 “Inside Llewyn Davis” is a film that all artists will appreciate, and quite possibly anyone who has dedicated themselves to something only to end up disappointed time and time again. The Coens approach this subject with brute honesty but also a certain poetic sensitivity. Especially when held up to their many irreverent comedies, “Llewyn Davis” will long be used as evidence supporting the Coens’ knack for artistic, nuanced filmmaking.